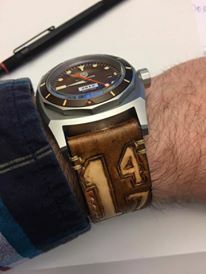 Here we have a VintageVDB 2016 on a vintage and custom made DStrap! 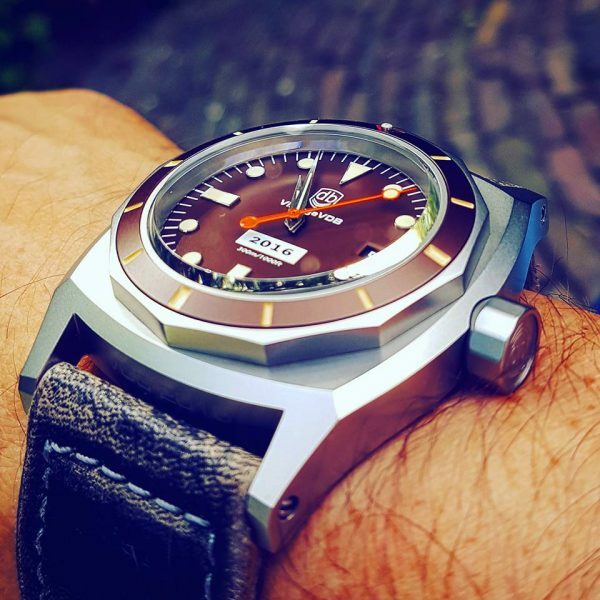 VintageVDB is a exclusively manufactured brand from Erfurt made by Stephan Obst. 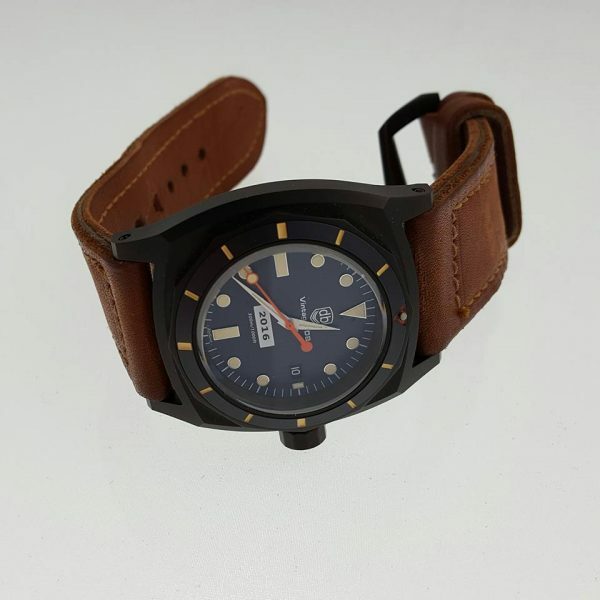 This VDB 2016 is a large, like most, 46mm equipped with the swiss ETA 2824-2, sapphire crystal. 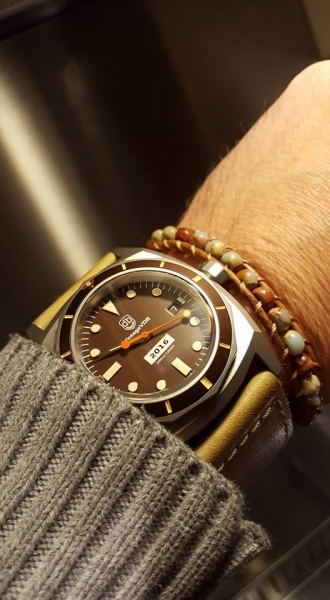 A real Vintage Daily Beater! 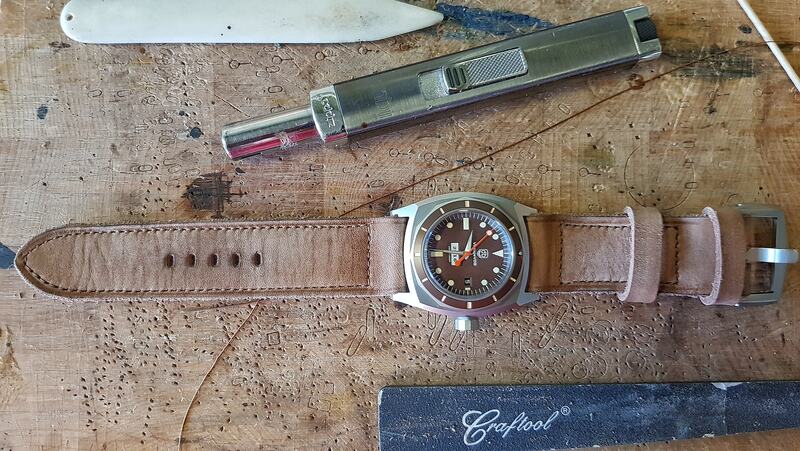 You can easily upgrade this stunning watch with a custom made DStrap!